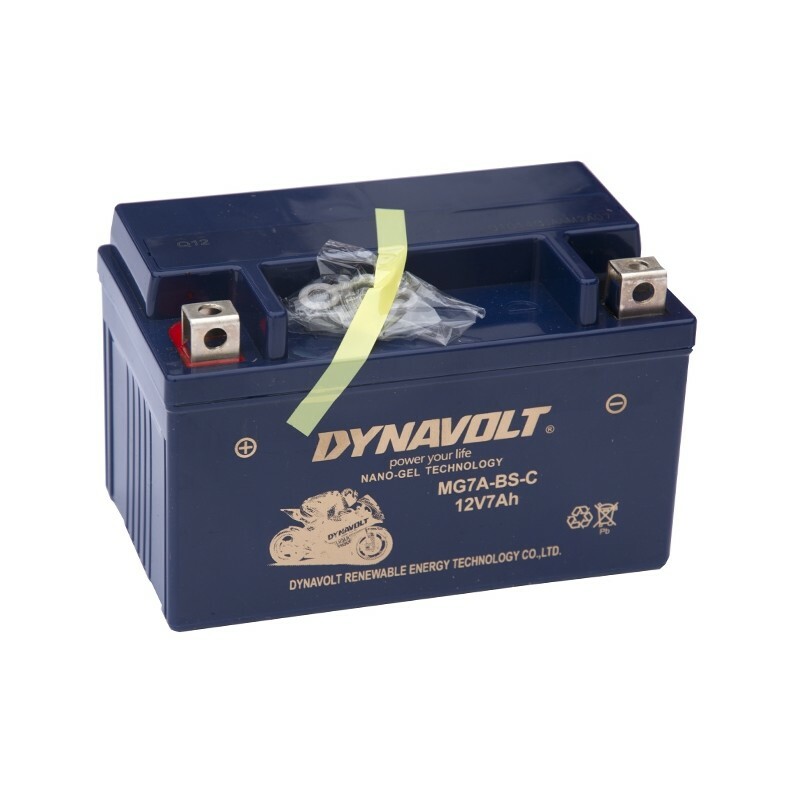 DYNAVOLT NANO GEL technology battery for motorcycles. Fully charged, absolutely maintenance free and safe. Why DYNAVOLT NANO GEL batteries? GEL electrolyte completely solves the lead acid battery hermetic problems. Even 150% longer battery life. According to JB / T4282-92 standard of ordinary liquid electrolyte batteries reaches 200 cycles and DYNAVOLT Nanotechnology GEL batteries up to 500 cycles. Twice as long as the self-discharge time.